It’s about more than playing chef and serving parents a beloved fake meal. 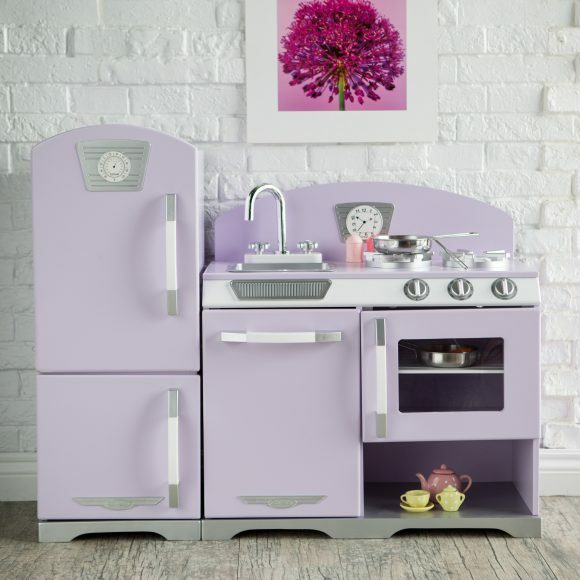 Children’s play kitchens are beneficial, as they aid in teaching many valuable lessons and life skills. We love including play kitchens in our kids playroom interior designs because they promote both emotional and social development. The accessories added can also add additional benefits, ranging from math to cognitive skills. I figured I’d list a few, then head on to showing off some adorable play kitchens. A child’s play kitchen, much like a real kitchen, needs to be organized to avoid complete chaos. Even young children grasp the concept of cleaning up and taking on the responsibility of doing so. Some play kitchens are pricey, but even when they’re not, it’s important to teach your child to take care of their belongings, allowing them to be chefs, restaurant owners, or whatever they desire to be in their kitchen, for years to come. With such a variety of foods and accessories for play kitchens these days, it’s almost like going to the grocery store! This variety is great for helping children develop recognition of different foods, colors, and shapes. For example, asking a child what color a toy apple is, or what shape the orange is! Children often share their playtime in play kitchens, whether at a daycare center or at home with siblings, parents, or friends. Sometimes, its just them and their restaurant patrons (dolls and stuffed animals). No matter the situation, the role playing involved in being a chef or waitress/waiter enhances children’s social skills through communication and interaction. 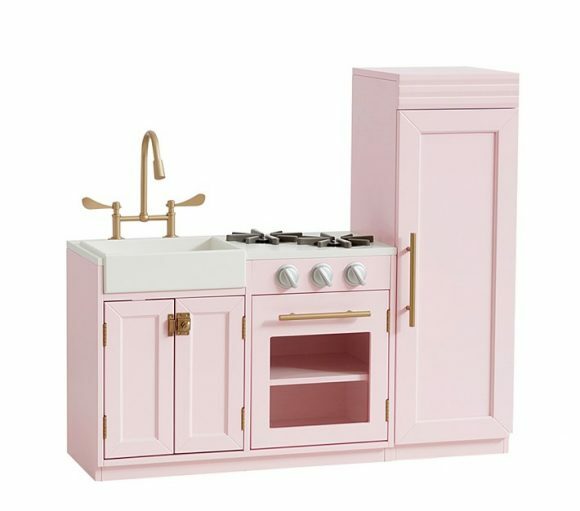 Besides the pink color being absolutely adorable (it also comes in a lovely gray), I really appreciate the design details of this play kitchen set. The modern golden fixtures make me want this in an adult version. 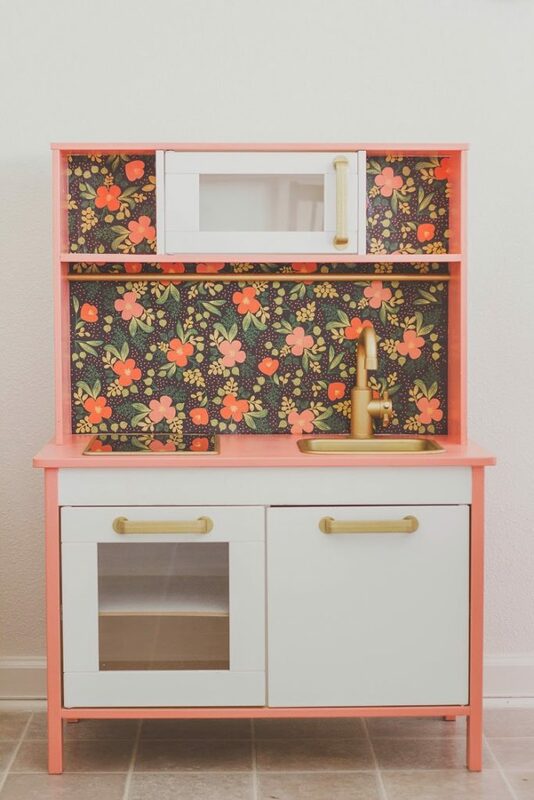 Can we take a moment to appreciate the backsplash in this play kitchen? 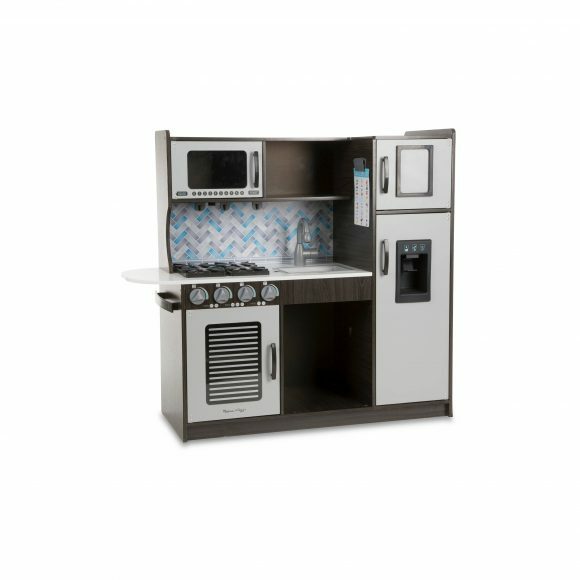 This modern style is great for both boys and girls and has great, durable construction that guarantees many meals created by your little chef for years to come. You can also get some pots and pans to go along with this set, helping with those organizational skills at clean-up time. 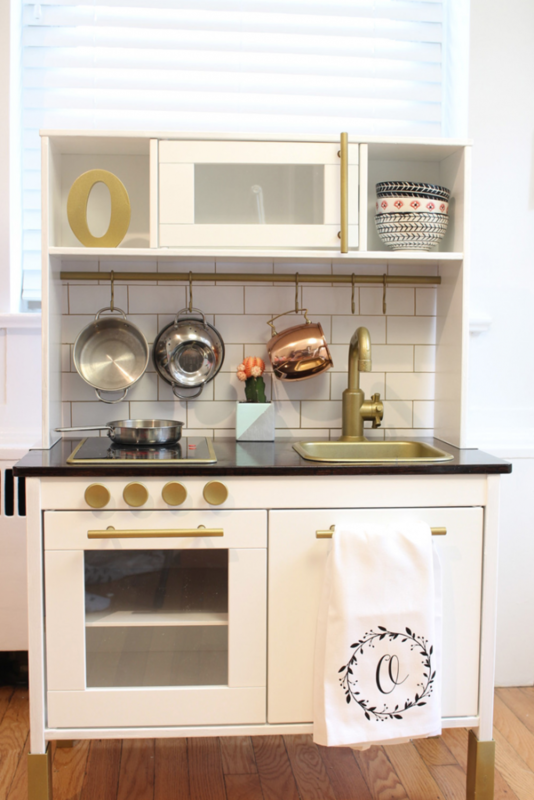 This two piece play kitchen is vintage love at first sight! This set can help both you and your child go back to a simpler time, serving up dinner before an episode of a classic black and white TV show. I prefer ‘I Love Lucy’, but the choice is yours. I couldn’t pick just one of these, so I had to include both! They are both “Ikea Hacks” of the Ikea Dutkig Play Kitchen . The kitchen on the left is via Sandra of Anchors & Honey. She found a used version at a thrift shop, snagged it for $8, then cleaned it and spruced it up with this perfect wallpaper! The play kitchen on the right was hacked by Mara of Design Evolving for a special little girl, and it came out modern and amazing! Were you aware of the benefits of play kitchens? What are some of your favorite experiences or sets?